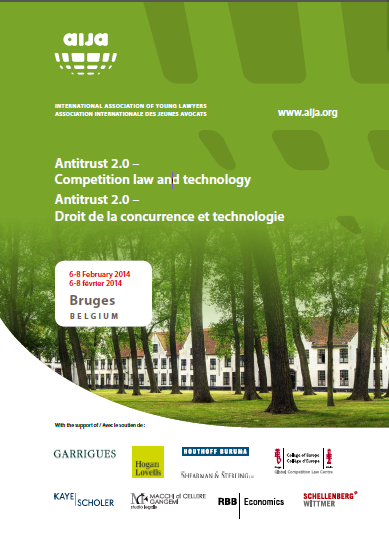 As anticipated a few days ago, on 7-8 February AIJA -with the collaboration of the College of Europe- will be holding a two-day conference on: Antitrust 2.0- Competition and Technology. The conference will cover all hot issues in current antitrust enforcement in the IT sector, and will feature an impressive line-up of panelists (and then also Nicolas and myself). My back of the envelope analysis of the Commission’s prohibition decision in UPS/TNT, following yesterday’s GCLC lunch talk. Some facts first – With this decision, the Commission prohibited a merger to duopoly in the express mail business. The Commission found that the merger would have given rise to an overly powerful n°2 – DHL being the leading player – and to the disappearance of a “maverick“, TNT (a so-called “gap case” ). Whilst efficiencies were deemed sufficient to outweigh the restrictive price effects on a number of geographic markets, the balancing test in central and eastern European markets yielded a negative outcome. The parties did not manage to convince the Commission that their “last minute” proposed remedies package (divestiture of parts of TNT’s business to La Poste + 5 years’ access to UPS/TNT’s aircraft fleet) would allay its concerns. The Commission had thus no other choice but to block the merger. The deadline for appeal exprises next week. 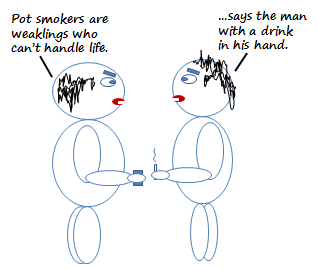 My feeling – based on smoke signals – is that the parties will appeal before the General Court. Unfortunately, the decision is not yet published. But the Commission has published a press release and a comprehensive MEMO on the decision. On a possible toughening of EU merger policy – Contrary to what has been written in the press, the case does not suggest a harder merger policy. The headcount of prohibited mergers for Almunia currently lurks at 4, where Van Miert and Monti respectively had shot down 9 and 8 mergers. Rather, this decision shows that merger scrutiny remains effective, even in a period of merger morass and of depressed capital markets. On the alleged protectionist instrumentation of EU merger policy – In the US, journalists were prompt to compare the EU with China, arguing that “the Commission uses antitrust enforcement to curb the efforts of American companies to expand in their countries”. To me, this is ill-thought: the prohibition decision also protects FedEx, a US company, from the fierce competition of DHL and UPS . On the missed opportunity to “industrialise” EU merger policy – The Commission refused to view La Poste as a “suitable purchaser” for the parties’ proposed divestiture. From an industrial policy angle, one may argue that the Commission has thereby counter productively prevented the rise of a second European giant in the parcels business, besides DHL (Deutsche Post). Now, it is well known that the Commission also seeks to open postal markets to competition. A further strenghtening of La Poste may have undermined the Commission’s parallel liberalisation agenda. On the perils of economic analysis in EU merger policy – Let’s be frank: in this case, the parties awkwardly offered to the Commission the rope to hang them. To prove that the disappearance of TNT would lead to price increases, the Commission relied on the price concentration study initially provided by UPS and TNT. It seems the Commission just had to tweak some numbers, and what looked like a minor positive correlation according to the parties became a significant impediment to effective competition (the parties did not deny the existence of a price effect, but they argued that it was de minimis in magnitude) which could only be offset by redeeming efficiencies. In other words, by pushing this price concentration study forward, the parties lifted the burden of proof away from the Commission, and placed themselves immediately in the uncomfortable position of having to argue efficiencies. The bottom line: economic analysis can backfire. On the interpretation of the “efficiency defense” in EU merger policy – This case is probably one of the first merger cases in which the Commission accepted that – at least on some markets – cost efficiencies would be passed on to customers. So far, the Commission had often accepted the existence of efficiencies, yet rejected them as either insufficient in magnitude or on the ground that they would not be transferred to customers. This is a very positive evolution in merger policy. On the fallacious distinction between fixed and variable costs in the context of the “efficiency defense” – The Commission rebuffed the administrative efficiencies (overheads) advanced by the parties on the ground that they constitute fixed cost efficiencies, i.e. one-offs which have no impact on prices charged to customer. To me, this is bad policy. Whilst firms do not seek to recoup ALL their fixed costs in their short term prices, most firms try to recoup some of their fixed costs in their short term prices. So if, with a merger gives rise to fixed costs reductions, then there is less to recoup on customers in the short term. The bottom-line: fixed costs efficiencies have an influence on short term pricing. Moreover, “one-offs” fixed cost efficiencies have an additional beautiful feature: they are “structural” efficiencies that benefit to consumers forever, regardless of market evolution (growth or decline). 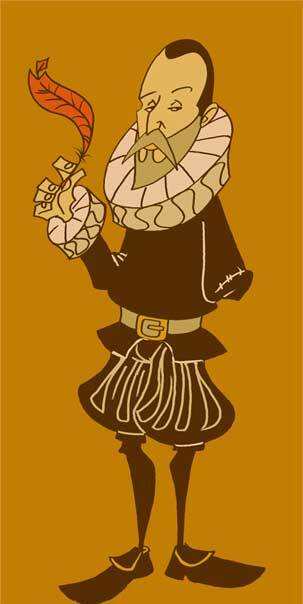 They are thus more plausible, and likely to unravel, than “conjonctural” variable costs efficiencies. On the interface between EU merger policy and Article 102 TFEU – To reject the proposed remedy package, the Commission speculated that La Poste would likely not develop its own aircraft fleet, so that after the expiration of the 5 years’ access remedy, it would not exert significant competitive pressure on the integrators (DHL, UPS/TNT and FedEx). This is not very convincing, for both factual and legal reasons. First, La Poste has already started a process of vertical integration. Second, after the expiry of the 5 years commitment, the Commission remains able to maintain an access remedy under the Article 102 TFEU essential facilities doctrine. On conflicts of interests in EU merger policy – Rumour has it that at the hearing, the parties infuriated a big fish from DG COMP. The reason? The official who previously held his position had dared appearing as consultant for the parties. On the scope of the UPS/TNT decision – The Decision concerns only 29 countries in the EEA, and not 30. The explainer it that the Commission did not manage to get any significant data on Liechtenstein, so it decided to drop this country from its investigation. For more on this, see A. Lofaro’s excellent RBB Brief here. The ppts of the speakers at yesterday’s lunch talk will shortly be made available on the GCLC’s website. 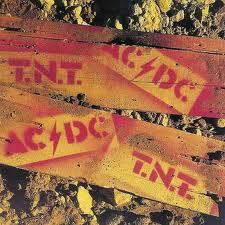 And thanks to Stephan Simon for suggesting to title the event after AC/DC’s “TNT“, rather than after Queen’s “Another one bites the dust“. At the GCLC, we have just scheduled a promising lunch talk on the Commission’s UPS/TNT Decision on 4 April. Our speakers are Stephan Simon (DG COMP), Winfred Knibbeler (Freshfields Bruckhaus Deringer) and Andrea Lofaro (RBB Economics). For more, see Andrea’s excellent RBB Brief hereafter: RBB_B41_Brief_V3. Last Friday I was invited to speak on these issues at a GCLC lunch talk on “Google Search engines and competition law“. I truly enjoyed it. I might develop the content of my presentation in a series of forthcoming posts, but today we’ll simply provide you with the presentations projected at the lunch talk. GCLC_Google_Lamadrid (looks better if you play the slide show; also, it’s password protected, so click “read-only”). As I explained at the event, I decided to run the risk of projecting this ppp when I learnt that Google had pledged before the FTC not to ask for injunctions aimed at protecting its intellectual property 😉 Actually, I’m much more scared of my firm’s format-strict marketing department…. P.S. A necessary and fair disclosure. The power point I had in mind became real thanks to Enrique Colmenero, a terribly nice and smart guy, a techie and an entrepeneur who is now fortunately working with me on a few tech-related cases. Registration is open until 6 February 2013. Standard rate: 35 EUR (VAT incl.) – free seats available for sponsors. As Pablo noted yesterday, my blogging urgers trump doctor’s recommendations; I figured that if Cervantes could write Don Quijote with one hand I could at least try typing a couple of posts on competition law single handedly..
On Friday 8 February at 12.00 h. there will be a Global Competition Law Centre lunch talk in Brussels on “Google Search Engines and Competition Law“. The speakers will be Anne Perrot, Cédric Argenton and myself (photo taken on 30 December..). Click here for further info and registration. (I’ve already checked all the publicly available materials about the European Commission’s investigation (piece of cake since there are practically none) and I’m in the process of reading relevant U.S. materials, national cases and academic papers; I’d be very grateful in case any of you could recommend any particularly interesting materials. On a larger scale, on 22 February 2013 our friends at Concurrences will be holding the New Frontiers of Antitrust 2013 conference at the Assamblée nationale in Paris. This conference has earned its place among the top competition law events of the year. Even though it’s not cheap, it’s always packed, so that should tell you something about the quality of the sessions. For info and registration see here. As you will see in the program, the interface between data protection and competition law will be one of the main topics dealt with; we’ll provide you with some personal views on this non-?issue soon.